BLEND INFORMATION: The fruity Catawba grape is the primary variety in the blend with some white European-American hybrid grapes blended in. It is cold fermented to retain the fresh fruity aromas and flavors. From EARL J KELLER of RIVER RIDGE, Louisiana on 7/23/2018 . MY WIFE LOVES A GOOD ROSE. 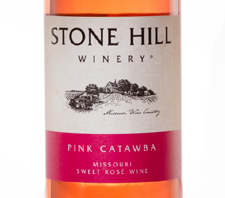 SHE HAD TRIED THIS WHILE WE WERE IN BRANSON AND FELL IN LOVE WITH IT.IT IS A BEAUTIFUL ROSE WITH JUST ENOUGH SWEETNESS FOR ANYONES TASTEBUDS. From Jared of Ozark, Missouri on 1/5/2018 . Brought a bottle of this home last year so my mother could try a local Missouri wine, and she loved it. Sent two bottles to her for Christmas - speedy, well packaged, and she was thrilled! From Melissa of Johnson, Kansas on 11/8/2017 . This is perfect blend and makes the evening start out just right!! From Steven Yates of Yuma, Tennessee on 6/28/2017 . Received a bottle of this one year for a gift and finally got around to drinking it. Turns out to be one of my favorites although hard to find here. Ordered a case from the winery and am sure that I will become a steady customer for this wine. This outstanding choice for a wine. From beverly ermler of homer glen, Illinois on 2/28/2017 . From Anonymous of Jacksonville, Illinois on 12/22/2016 . Good wine for anytime when just taking it easy. From Frederick Erpenbach of Friendswood, Texas on 12/19/2016 . From Anonymous of Alexandria, Louisiana on 9/29/2016 . A smooth and delicious wine. Great with crackers and cheese. From Paul Westermeyer of Keokuk, Iowa on 9/28/2016 . From Anonymous of Grinnell, Iowa on 5/17/2016 . This is one of our favs. We always include a case of this in our order! From Bob Needham of St Louis, Missouri on 4/19/2016 . I have had a lot of wine over the 70 years but this one is the BEST there is. From Howard Kyllo of Red Wing, Minnesota on 12/10/2015 . This is our most favorite wine of all. It is not too light and not too heavy. We order a case twice a year. From SUE SEIER of NELIGH, Nebraska on 12/9/2015 . From Anonymous of Pueblo, Colorado on 11/16/2015 . it is also very affordable! thank you ! From Moe C of Omaha, Nebraska on 10/15/2015 . I had this wine on a late summer afternoon at a friends house. She had actually bought it at the winery. It is just a delightful semi sweet semi effervescent what I call a porch wine! 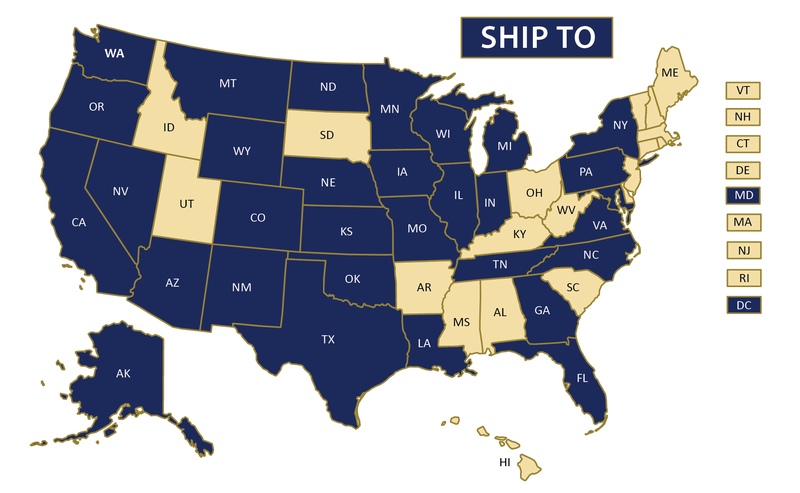 We bought a case and had it shipped to Omaha after considering driving to the winery for just a day trip but it is just a bit too far. This wine is something you could just have on hand and pull out when friends come over it's sweet… But not too sweet… And I don't really care for sweet but this is delicious! From Suzan Klausmeyer of PIEDMONT, Kansas on 9/2/2015 . From Ronald Wentzel of Oconomowoc, Wisconsin on 8/24/2015 . This is the one Rose wine that both my wife and I have found that we enjoy together. Discovered a few years ago on our visit to Branson. Keep it coming! From twtysinger of Fort walton Beach, Florida on 8/3/2015 . From Dennis of Burlington, Iowa on 2/17/2015 . 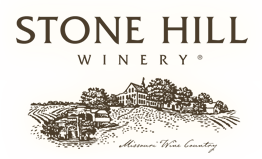 The Stone Hill Rose Montaigne is a great rose. It has a nice, crisp, slightly sweet character that pairs well with a number of food choices. From gerald osmuss of new london, Wisconsin on 1/4/2015 . A glass of Stone Hill Rose Montaigne adds a wonderful sparkle to any holiday dinner. Its light semi-sweet taste is versatile and pleasing to even the reluctant wine drinker. From denzeg@mchsi.com of Burlington, Iowa on 12/31/2014 . 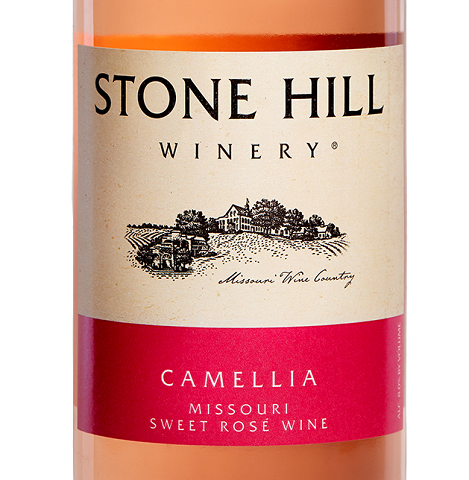 If you enjoy a nice Rose, you can't go wrong with Stonehill's Rose Montaigne! Try it and see what you think. From John Alexander of Danville, Illinois on 12/30/2014 . As i do not drink, it is not for me to offer a critique, but the recipients of my gift were very pleased. From Lloyd Jaeger of Sheboygan, Wisconsin on 12/9/2014 . From john of beaver crossing, Nebraska on 11/17/2014 . From Richard Connell of Laguna Woods, California on 10/29/2014 . This wine is very light and smooth with a wonderful bouquet. From Howie Kyllo of Red Wing, Minnesota on 6/24/2014 . This is our most favorite wine between me and my honey. Our shipment arrived right on time and everything exceeds our expectations. We would be unable to match this flavor from any of our local wineries in our area. We will definitely order another case when our supply gets low. From Ellen Y of New Berlin, Wisconsin on 10/24/2013 . From MARJORIE GILLESPIE of TANEYTOWN, Maryland on 10/16/2013 . From Troy Tysinger of Fort walton Beach, Florida on 8/23/2013 . My wine arrived earlier than expected, as always, nice touch! Wine arrived perfect condition and just the right Taste to go with my Pizza as I enjoy it. This is a winery That exceeds all expiations. Thy have 100% of my wine purchases. From EDNA HENRY of LAGO VISTA, Texas on 8/22/2013 . My favorite - appreciate the split case as husband prefers Hermannsberger and next order I may want to try another (red)wine as well as the Rose Montaigne.